"The floods in northern Minnesota were so bad last spring the turtles climbed out of their shells and used them for boats." This was the biggest lie of 1970 according to the Liar's Club of Burlington, Wisconsin. And it came from Brother Gregory Havel who became the first Catholic prevaricator to win first place in the Club. Gregory was born to Cyril and Elizabeth (nee Weber) Havel on August 8, 1950 in Thief River Falls, Minnesota, where he spent his early childhood. Aftyer graduating from eighth grade, the family moved to Burlington, Wisconsin where Greg attended Burlington High School. He graduated 7th in a class of 221. It was 1968. During those high school years Gregory found himself being called to serve God as a Franciscan Brother. St. Francis of Assisi Friary was located in Burlington, a stone's throw from his house. 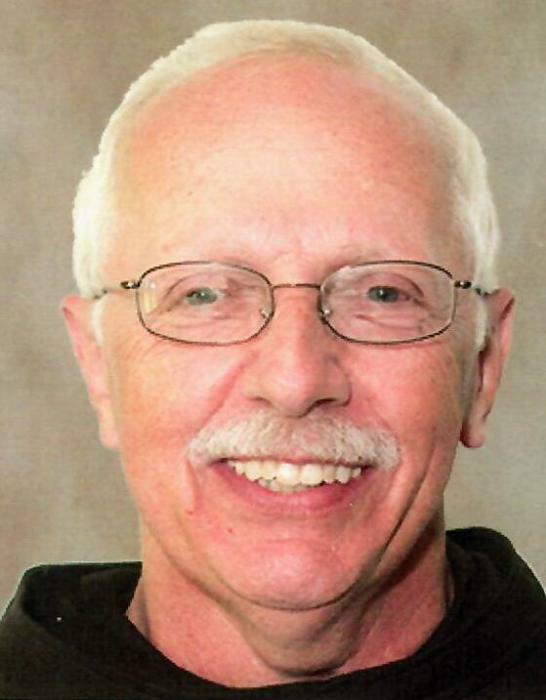 Greg contacted the Vocation Director of the Assumption BVM Province headquarters and after some correspondence, was admitted to the Franciscan Order. Greg entered the novitiate, located at Queen of Peace Friary, Lake Geneva, Wisconsin on August 14, 1968, professed temporary vows on August 15, 1969 and was admitted to solemn profession on July 6, 1973. As was customary in 1968, Greg wrote his own Solemn Profession Vow Formula, stating "Love, then, consists in this: not that we have loved God, but that God has loved us. I have come to know and to believe in the love God has for me. Therefore, I Brother Gregory Havel, vow and promise to Almighty God, to Blessed Mary, ever virgin, to our holy father, St. Francis, to you and to all the brothers of our Order, to observe all the time of my life, the Rule of the Friars Minor, confirmed by Pope Honorius, observing the Holy Gospel of our Lord Jesus Christ, by living in Obedience, without property, and in chastity." This is the friar who found himself serving others for the remainder of his life. He was skilled in many ways, finding himself involved in maintenance, building projects, and eventually volunteering in the local communities in which he lived as a firefighter. He was well respected by those who worked with him. As his reputation grew, due to developing expertise through his continued education, Greg was hired by Scherrer Construction Company of Burlington as Safety Director, a position he held until his death. With the death of his father and sister, Gregory became the caregiver to his 96 years old mother. He checked on her dailey and made sure she was well taken care of. When Mrs. Havel did not get her daily phone call from her son on Monday, December 3rd, she realized that something was amiss. Not knowing the friary phone number, she proceeded to call the Burlington police followed by a Rescue Squad. They found Gregory on the floor in the bathroom. They transported him to Burlington Hospital and eventually to St. Luke's Hospital, Milwaukee where they discovered a cancerous brain tumor. Immediate surgery was performed. After talking with Gregory, the doctors realized that this was the same type of brain tumor that claimed the lives of both his father and his aunt. After several chemotherapy and radiation treatments, it became evident that the doctors had done all they could and that death was imminent. Greg was informed and agreed to enter hospice. While there, knowing his earthly journey was coming to an end, he requested that the firefighters honor guard be present at his funeral among other requests. He entered Hospice House in Pleasant Prairie, WI on January 10, 2019. It was there that he answered the call of Sister Death on February 7, 2019. Gregory died in the 68th year of his life and the 46th year of his religious profession. His cremated remains will be entered at a later date at St. Mary's Cemetery, Burlington. Visitation Sunday, Feb. 10, 2019 5:00 PM to 7:00 PM and Monday, Feb. 11 from 9:30 AM until the Mass of Christian Burial at 10:30 AM all at St. Thomas Aquinas Catholic Church, 305 1st Street Waterford, Wisconsin. Immediately after Mass, all are invited for a luncheon in the school hall.